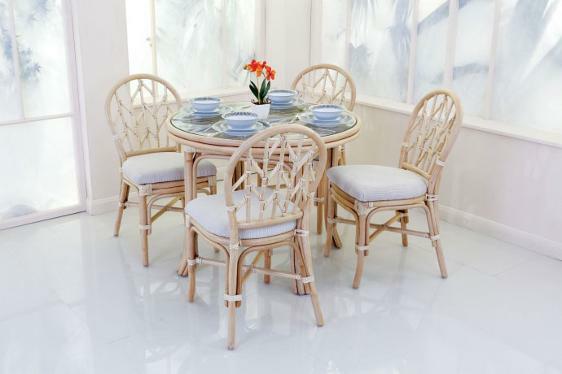 The Oakham Dining range is a splendid compliment to the Oakham Cane lounging range. Each item is a charming piece in it’s own right and the dining chairs are available in the full range of Daro fabrics. Glass is toughened to UK BS Standards. Oakham Dining Table with four Oakham Dining Chairs, Light Natural Wash, Douglas Cream.